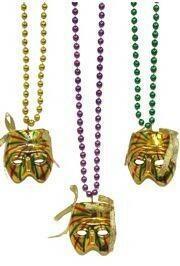 Gold Striped Mask medallions hang on a 33in necklace. 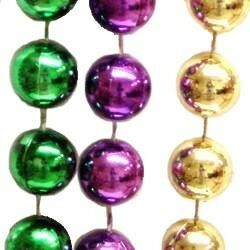 The round bead necklaces are 7mm in diameter and come with purple beads, green beads, or gold beads. 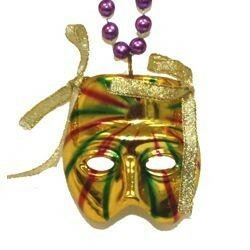 The Striped Mask are 2 1/2" Tall and 2" Wide with painted stripes and attached Lace ribbons. 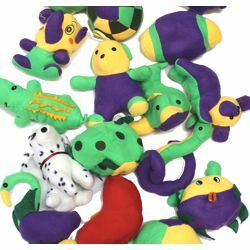 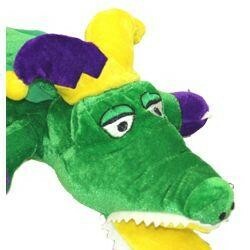 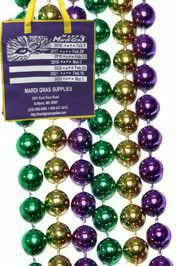 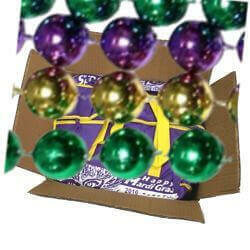 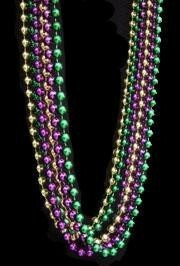 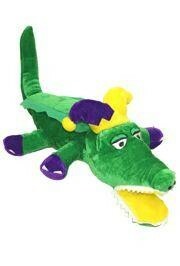 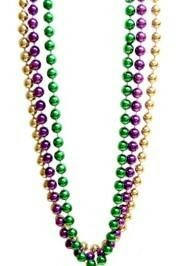 These Mardi Gras Beads are the essential Mardi Gras throw. 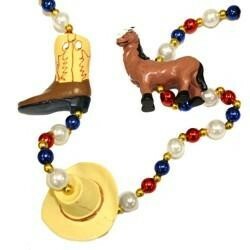 This necklace is perfect for the cowboy or cowgirl in your life. 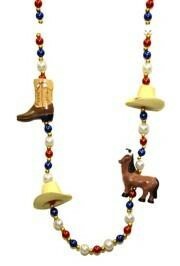 It features 4 3-Dimensional medallions: a pony, 2 cowboy hats, and a cowboy boot. 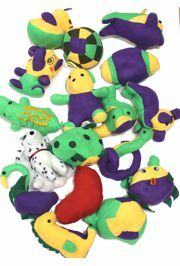 Sizes Range Between 7in - 8in.